"Thank God for tea! What would the world do without tea? How did it exist? 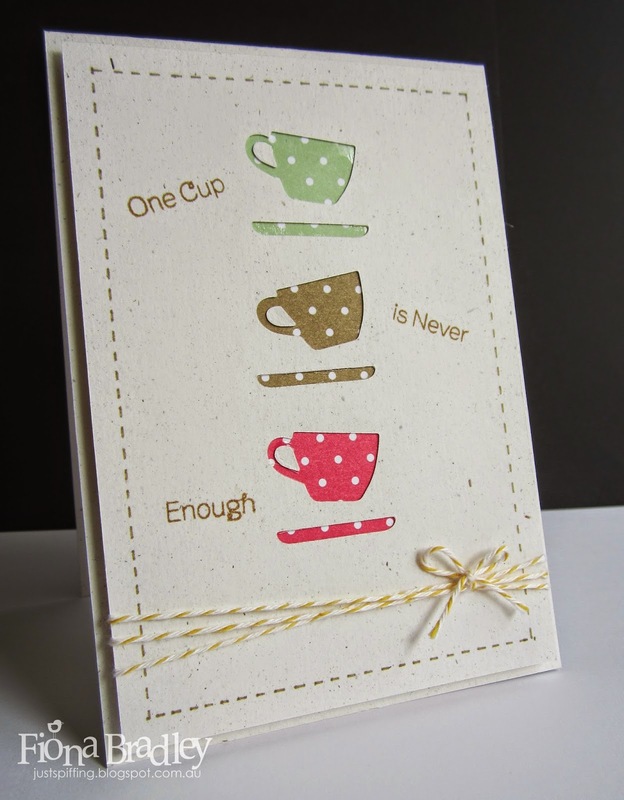 This card is made with the My Favourite Thing stamp and matching die set "Always Time For Tea." 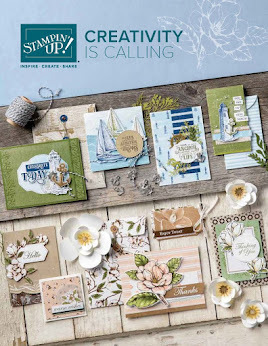 I die cut the tea cups and saucers three times on Natural cardstock and placed three different colours from the 2013-2015 In Colour Backgrounds Designer Series Paper Stack behind them. With my matching matching Baked Brown Sugar Stampin' Write Marker I hand drew the border. I finished off with Crushed Curry Bakers Twine and popped up the front piece of card using my trust Stampin' Dimensionals.